Degrees from Aberdeen University and Robert Gordon University can allegedly be obtained for as little as £200, complete with university emblems and gold seals. It has emerged that copies of RGU degrees even contained faked signatures from chancellor Sir Ian Wood and principal Professor William Stevely, the Sunday Times reported. Other institutions being targeted include St Andrews University, Glasgow University and Edinburgh University. The information has come to light after a Sunday newspaper claimed that one website sold over 3,000 fake qualifications from various education establishments to UK-based buyers between 2013 and 2014. These included degrees, doctorates and PhDs. A Scottish government spokeswoman said: “As most of these websites are operated from abroad, the Scottish government has limited powers to intervene. “However, we will always work with the UK government and others to do what we can to disrupt their activities. “The fact is people who buy fake degree certificates and diplomas from these websites are cheating themselves. Employers are able to verify an applicant’s claims of grades obtained through Higher Education Degree Datacheck (HEDD) which can confirm university records. Earlier this year, its chief executive Jayne Rowley revealed only 20% of UK employers currently run proper checks on applicants’ qualifications. 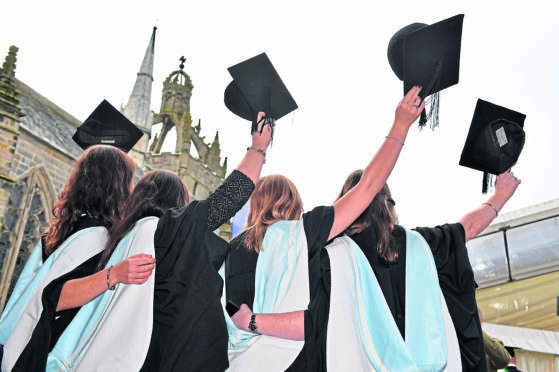 Liberal Democrat leader Ian Yuill said: “The sale online of fake degrees purporting to come from major universities can cause real problems for employers, university graduates and the universities themselves. “I am sure that both Robert Gordon University and the University of Aberdeen will be doing all they can to tackle this.